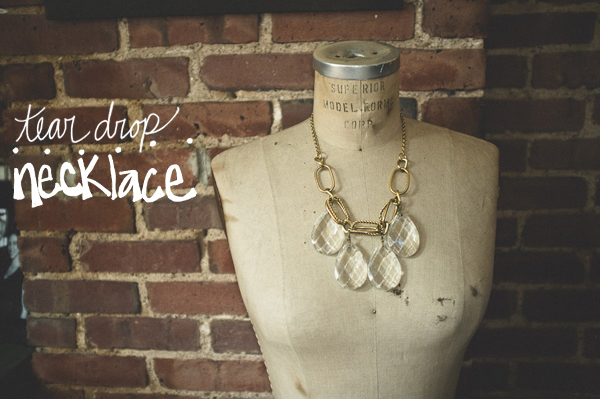 Recently, I've been craving some new obnoxiously large jewels to grace my neck. This yearning wasn't getting accomplished too quickly as I'm not in the mood for shopping much these days, the city in the summer can be a dreadful place to find yourself aimlessly wandering for necklace inspiration. So, I took to my bag of tricks.... and by 'bag of tricks' I mean my trusty tackle box of jewelry joy. So dive in with me and let's see what I can put together from my scraps. It's so easy, I don't know how it demanded its own entire post! Well, I do actually. I've worn it every day since I made it. Fact. 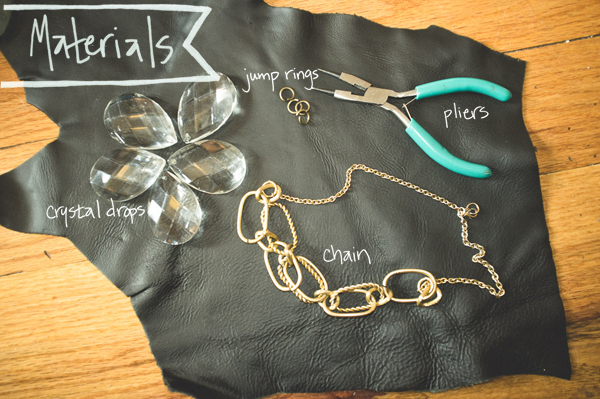 - Start by laying out the necklace/chain and line up where you want to drops to go. - Then attach the two jump rings together with a jump ring. You will have three jump rings together total. Just keep saying jump ring over and over again! - You're done. No, seriously, that's it!